Chocolate Cake is something that is hard to resist and this one will only make it harder. It has a smooth texture that melts in the mouth along with a Photo printed on it. 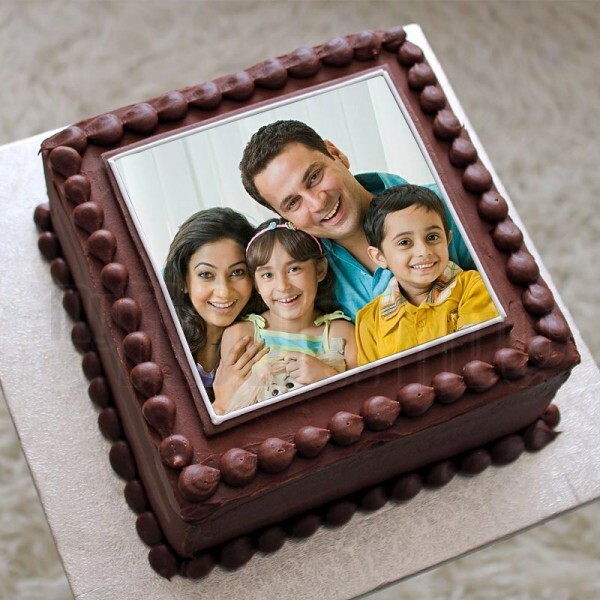 This 1 Kg Square Chocolate Cake with a Photo printed on it is amazing.